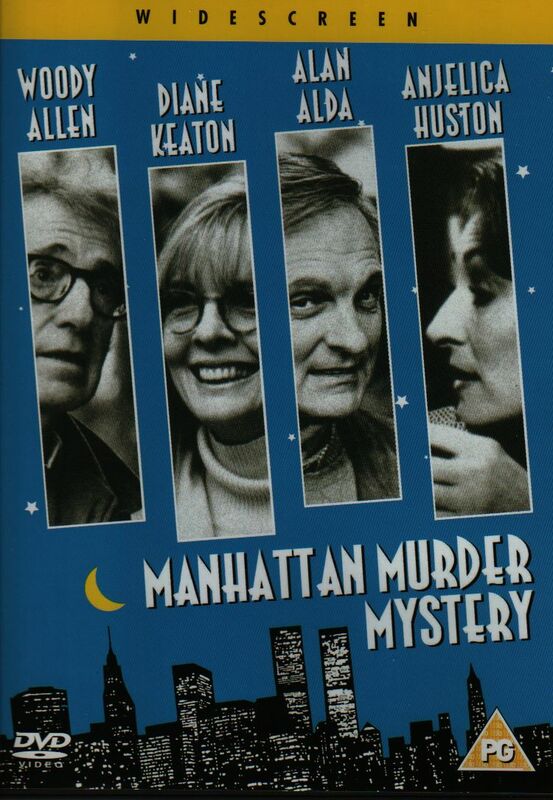 In his mirthful tribute to film noir, Woody Allen reteams with Diane Keaton as residents of a New York apartment who investigate the mysterious death of a kindly old neighbor. The neighbor's husband is a prime suspect, but first Woody and Diane must find a motive and evidence, while getting over their own petty jealousies. 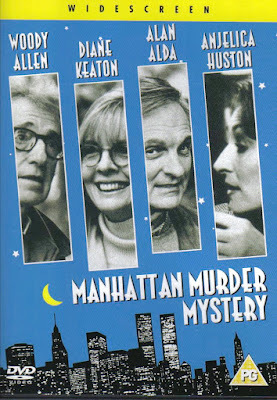 With Alan Alda, Anjelica Huston, Jerry Adler. Typical dry, neurotic Woody Allen humor mixed with a convoluted but quite original thriller plot. keaton is the real protagonist here, a woman who is so bored with her own life that she must involve herself in the lives of others. In the course of the movie we get a glimpse of Mahnattan life, of the multicultural melting pot rife with creativity, wealth, and crime. Keaton and Allen are a fairly typical middle aged couple, from New York or from any place really, whose life together is not enough to fill the day (or the night as you will find out in this film) but whose mutual bond is still strong despite the occasional jealousy.